“In the case of a hard Brexit, would the UK really apply the high EU external tariffs and carry out elaborate physical checks at the borders?” asked Gabriel Felbermayr, director of the German think tank, in a report covered by the Telegraph newspaper. “[S]uch a strategy would be hardly rational for London and technically perhaps not feasible,” he suggested. 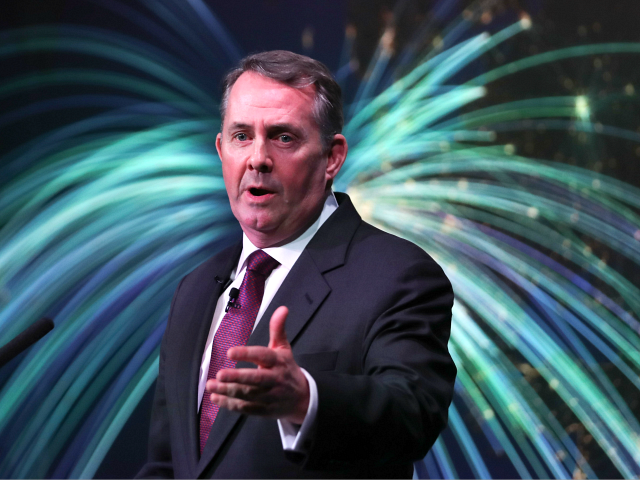 “[T]he UK would [likely] unilaterally abandon all new barriers with a ‘hard-but-smart’ strategy. This fundamentally changes the negotiation situation,” he warned. Felbemayr pointed out that under this “hard but smart” scenario, the British would experience “no supply shortages because all goods and services would simply be waved through” — holing the threats of food, medicine, and even condoms in the event of No Deal which are often issued by British europhiles. “There would also be no traffic jams on the French side of the English Channel or in Ostend; the snakes would be on the British side, caused solely by the EU… The lovers of scotch and Cheddar cheese and, what is more important in the EU import statistics, the suppliers of intermediate and intermediate products in the industry would see higher prices and express their displeasure quickly and clearly, especially since these effects did not occur [in Britain],” he added. The evidence suggests that the British government is indeed preparing a “hard but smart” strategy for No Deal — the efforts of EU loyalists among the ministerial ranks to take No Deal “off the table” notwithstanding — with reports indicating that the Department for International Trade intends to cut between 80 and 90 percent of all tariffs if negotiations founder and a clean break with the EU takes place. Michael Gove, Secretary of State for the Environment, Food, and Rural affairs, has reportedly ensured some protection will remain in place to stop British farmers from being priced out of the market by foreign produce, while Business Secretary Greg Clark has made similar interventions on behalf of the car industry — but the presumption will be in favour of zero tariffs, in what sources say would be the most radical act of international trade liberalisation since the abolition of the Corn Laws in the 1800s.